We are getting more negative trades now because we are entering in trades before bar close, i am testing this system to know if it will be better entering trades after bar close or taking intrabar trades, i have added an ADX filter to MjoseScalper from tomorrow we will use an ADX trend strength filter to avoid trades when we are in a choppy market. Written by mjose. 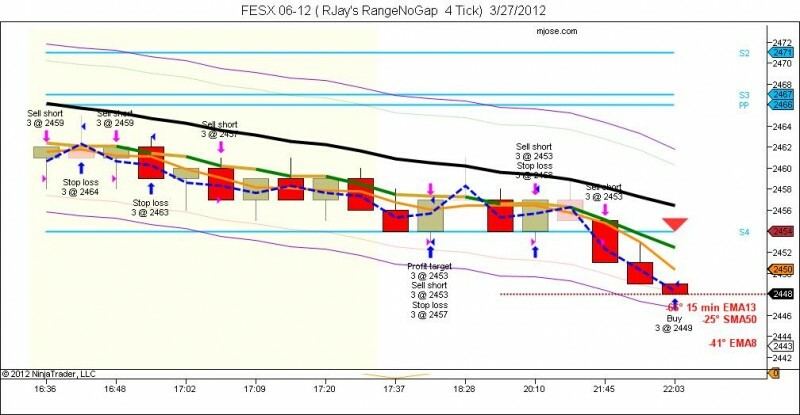 This entry was posted on 27/03/2012 at 9:54 pm and is filed under Trading Journal. You can follow any responses to this entry through the RSS 2.0 feed. Tagged ADX filter, choppy, spikes, strength filter	You can leave a response or trackback from your own site. how is it going? Still trying to implement the automated trading system? I also use NinjaTrader and I wonder how you can backtest Tick data.